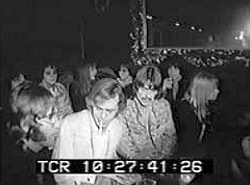 Notes: John & George and their wives visited The Revolution club in London to watch the latest fashion show by designer Ossie Clark. Patti was one of the models. 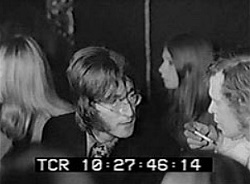 Pathe News were on hand to document the proceedings. There is also a similar newsreel by British movietone. Black and white.